&nbsp;&nbsp;&nbsp;&nbsp;&nbsp;1&nbsp;&nbsp;&nbsp;<b>Doubling of voices and instruments</b>: Handel’s particular style of composing music offers economies of paper usage wherever possible. This sometimes makes his intentions unclear. Violins were usually separated into primi and secondi (firsts and seconds). Only documentary evidence gives any indication of how many instruments played to a part. &nbsp;&nbsp;&nbsp;&nbsp;&nbsp;2&nbsp;&nbsp;&nbsp;<b><i>Bassi</i> and <i>Tutti bassi</i></b>: In a context of strings only, Handel’s <i>bassi</i> were cellos and double basses (<i>violini</i>. In a string-and-wind context, <i>bassi</i> parts could include bassoons: the cues “with bassoon” and “without bassoon” (<i>con</i> or <i>senza fagotto</i>) are the only clues to shifts in the accompanying instruments. <i>Tutti bassi</i> has the overall intent of requiring all available instruments of the bass register, but its instructional value is relative, not absolute. &nbsp;&nbsp;&nbsp;&nbsp;&nbsp;2&nbsp;&nbsp;&nbsp;<b><i>Bassi</i> and <i>Tutti bassi</i></b>: In a context of strings only, Handel’s <i>bassi</i> were cellos and double basses. In a string-and-wind context, <i>bassi</i> parts could include bassoons: the cues “with bassoon” and “without bassoon” (<i>con</i> or <i>senza fagotto</i>) are the only clues to shifts in the accompanying instruments. The cue <i>Tutti bassi</i> has the overall intent of requiring all available instruments of the bass register, but its instructional value is relative, not absolute. &nbsp;&nbsp;&nbsp;&nbsp;&nbsp;3&nbsp;&nbsp;&nbsp;<b>Oboe scoring</b>: Oboe parts and cures are absent in the autograph and other manuscripts of the 1740s, but their use is well documented for the Foundling Hospital performance of the 1750s and may have been used prior to written indications. Parts for oboes are preserved in the Coke Collection (at the Foundling House) and in a manuscript at King’s College, Cambridge, dating from the last quarter of the eighteenth century. &nbsp;&nbsp;&nbsp;&nbsp;&nbsp;3&nbsp;&nbsp;&nbsp;<b>Oboe scoring</b>: Oboe parts and cues are absent in the autograph and other manuscripts of the 1740s, but their use is well documented for the Foundling Hospital performance of the 1750s and may have been used prior to written indications. Parts for oboes are preserved in the Coke Collection (at the Foundling House) and in a manuscript at King’s College, Cambridge, dating from the last quarter of the eighteenth century. Handel in an engraving by John Faber (1749) after a painting by Thomas Hudson (1748). Handel's famous oratorio Messiah comes down to us as the best known and most widely performed of his compositions. Its fame rests on many factors—its gestation under favorable social circumstances then, its versatility and easy availability in ours. 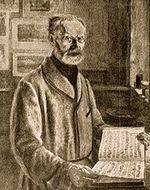 Overriding these extraneous factors is the virtue of the music itself: majestic and contrite by turns, carefully balanced throughout, and within the capabilities of diligent amateurs. This website provides copious performing materials for Messiah, with substantial background information concerning the rubrics on which these materials are based. 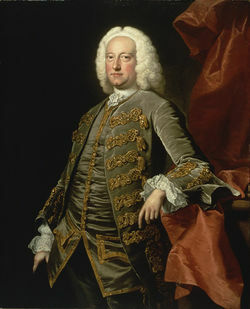 Portrait of Charles Jennens by Thomas Hudson c. 1745. Composed in the summer of 1741 and first performed in the spring of 1742, Messiah is suspended between sacred and secular spheres. The title Messiah, used for its first performances in Dublin, suggests a sacred work, although it was initially performed as a concert piece. The piece was simply called a Sacred Oratorio for its London premiere (1743), but objections were raised to its performance in the theater. 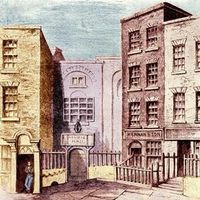 Not until performances began in the chapel of London's Foundling Hospital (1750) was the ambiguous cast of the work matched by a similar ambiguity of space. All of Handel's oratorios reflected to one degree or another his cultural immersion in an Anglo-Protestant society. When Messiah was first performed Dublin had a substantial Anglo-Irish nobility and maintained strong cultural ties to London. 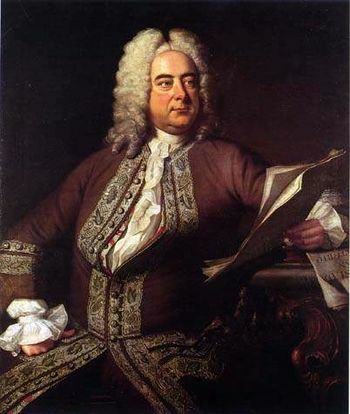 Messiah can be differentiated from most earlier oratorios by Handel in the degree to which the ideas of Charles Jennens, Handel's collaborator, drove the work. It is Jennens's theological views that are projected. Messiah's chameleon ability to transcend social and cultural boundaries continues to expand up to the present day. Messiah is especially noted for its choruses. The most famous one is the "Halleluia" chorus that ends Part Two. The choruses are noted for their imitative vocal entries, which contribute to cascades of contrapuntal complexity as various groups of instruments highlight particular passages or counter vocal entries with musically independent passages. Handel thought when he composed the work that Messiah would be performed in London. A visit to Dublin that began in November 1741 enabled him to offer a series of subscription concerts whose success led to a second one. 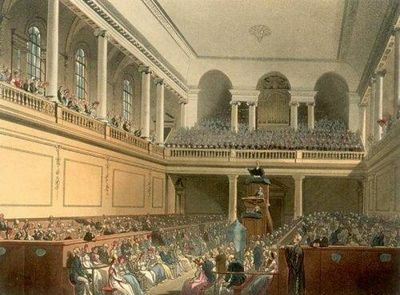 The idea of performing Messiah in Dublin came about as a bonus offering following the second series of concerts. 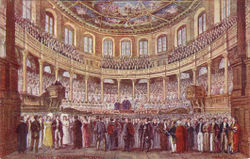 An open rehearsal of the oratorio took place the day after the second series finished. Its official premiere the following Tuesday (April 13, at noon) was an anticlimax, because the open rehearsal caused Messiah to be declared "the finest Composition of Musick that ever was heard." The premiere simply confirmed this lofty evaluation. 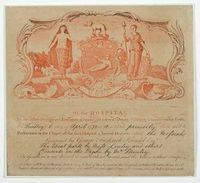 Messiah had come into being at the request of Dublin's Charitable Infirmary to compose a work to encourage contributions to the "Dublin sick." At the time hospitals were used more to separate the sick from the rest of society than to treat their maladies. When Messiah had its final Dublin performance, on June 3, there were some changes of cast, and organ concertos were performed with it. Other concerts filled the intervening weeks. Among them were a benefit for the Dublin music publishers William and Bartholomew Mainwaring, and Handel's oratorio Saul. Its Dead March became an instant favorite. His edition of Messiah appeared in 1790. It contains much richer figuration of the basso continuo than earlier manuscript versions. This is likely to reflect the reduced training that accompanists were receiving in the “realization” of the sketch of accompaniment that a continuo part otherwise provided. A more detailed prescription was required. The skills that he brought to the task from long experience as a harpsichordist at Covent Garden suggest that his figuration represented the highest standards of the time. Over time the differences from one version to another can be said most often to reflect changes in voicing or orchestration. A few pieces became shorter with revision. There was a slight increase in the use of choral material, although the choruses were by far the most stable elements of the work. There is no formula by which these tendencies can be broadly applied. Messiah's continuous state of evolution leaves many open questions for today's performers. In the case of Messiah, the number of sources surviving from Handel's own time is fewer than the number of documented productions. 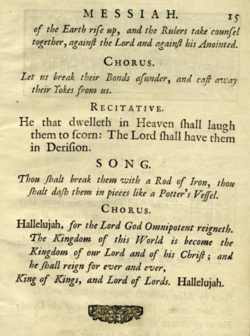 Page from the 1749 libretto for Messiah showing the final numbers in Part Two. The earliest collective use of the the variant material included in the MuseData score and parts was by Philharmonia Baroque Orchestra (directed by Nicholas McGegan) with the UC Berkeley Chamber Chorus (led by Bruce Lamott). Harmonia Mundi recorded a "main version" and most variants in 1991 (HMU 907050.52). The CD-user could, by following a trail through the bands of the CD set, program any of the versions that have survived from Handel’s lifetime (or shortly thereafter). More recently, these materials have been made available online through multiple vendors, e.g. amazon.com (http://www.amazon.com/Handel-Messiah/dp/B000QQUX1Y) and iTunes (http://itunes.apple.com/us/album/handel-messiah/id82182810). Many other recordings of the work exist, but these are only cases we know of that make alternative versions available for comparison. Variations in content are largely confined to a few numbers in each section of the oratorio. Some were changed over and over. Full details correlating MuseData content with specific versions can be downloaded in Table A.
Burrows, Donald. “'Mr. 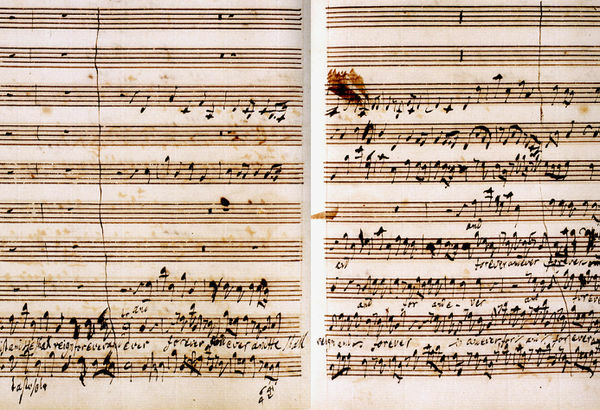 Harris's score': A new look at the 'Mathews' manuscript of Handel's Messiah,” Music & Letters (2005), 86(4) 560-572. Burrows, Donald. “The autographs and early copies of Messiah: Some further thoughts, Music & Letters (1985), 66(3) 201-19.